1. Slowly stripping streamers down deep. 2. Nymphing runs under an indicator. 3. Look for fish sipping midges. They’re tough to fool, but, when you do hang on. OUR TIPS OF THE WEEK – Once you hit a couple fish in a run, stay on it and continue with the same rig. 7 DAY OUTLOOK – Midges, BWO’s. Good luck from our team at BRO! Fishing is ok. Been a cold winter but the fish gotta eat! Midges, scuds, sow bugs down under - midges on top. DRIES - griffiths #18-20 NYMPHS - green machines #18-16, sow bugs and scuds, zebra midges, pink scuds, tung head jigs pink or olive all in #18-16. STREAMERS - Pencil thin cone heads, sparkle minnow, brown buggers #8-4, crawfish patterns in olive or tan, kreelex fly copper/gold #6. Some small tributaries have blown out, but most of the river is clear. Below Holter Dam to Craig. Rainbows, browns, whitefish, carp and a couple cuts below tributaries. 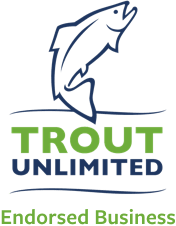 Open year round, but catch and release for trout this time of year. 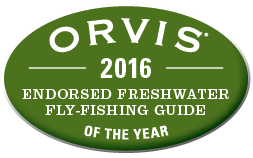 Is the one that fits your rod and style the best - fly shops will help discover this.